When I opened my own solo practitioner dispensing optometry practice in Vancouver 9 years ago I built in the fees for hiring the Art of Management into my practice loan. What I learned and the support I received from the Art of Management was worth every penny. If every optometrist practiced like the Art of Management advises you to, every optometrist would be successful and happy! 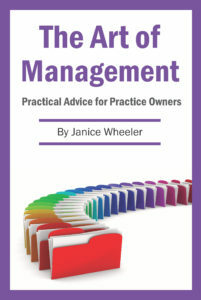 I recommend the Art of Management to all optometrists who wish to have an independent successful growing practice.